Karl Vitomir, an exceptional but unknown actor, is hired to play the villain in the infamous Jacobean revenge tragedy Let It Fang. But his presence quickly becomes a problem when company members mysteriously disappear, and soon life begins to imitate the bloody art of Jacobean depravity and revenge. 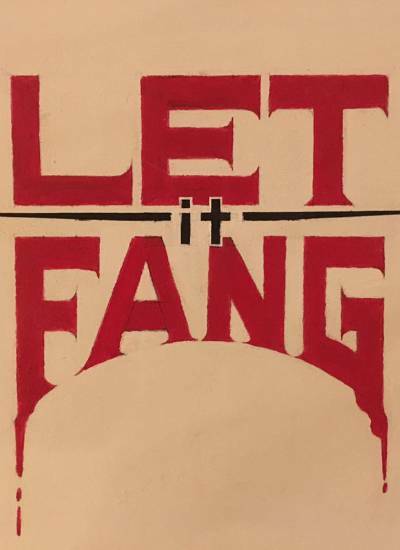 Written and directed by David Berkson, Let It Fang - Part I: Theatre of Blood creates two distinct worlds: an old, re-discovered revenge tragedy and a modern theatre company's bloody struggle to bring that play to the stage. The first of two parts, Let It Fang - Part I: Theatre of Blood combines the supernatural conventions of vampire fiction, the heightened language of 17th Century verse, and the sensibilities of old-fashioned backstage comedy. The cast includes Doug Cornett, Bryce Duncan, Doren Elias, Timothy Fodge, Camille Gluskoter, Megan Skye Hale, Caitlin Lushington, Chris Porter, Patrick Tangredi, Wendy Wilcox, and Lance Woolen. Regular RTR patrons, please note the special dates, times for Let It Fang: Thursday, Friday, & Saturday, January 24, 25 & 26. Show starts at 7:30 PM. We encourage you to arrive at 7:00 PM. All reserved seats will be released to walk-ins at 7:25 sharp. If tickets are not available on the night you'd like to come, please email readerstheatrerep@gmail.com to get on our wait list. Street parking only.